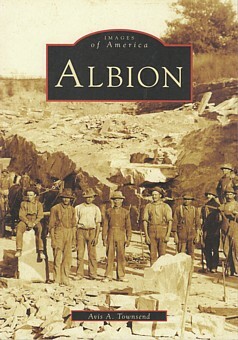 Albion highlights an historic community in the Lake Ontario region of western New York State. With vintage photographs and fascinating detail, the book records Courthouse Square, early salt roads and quarries, splendid cobblestone houses, the Erie Canal passing through town, famous resident George Pullman, Rich's Corners, two correctional facilities, and the outstanding garden-style Mount Albion Cemetery. Active in area historical societies and circles, author Avis A. Townsend has an appreciation and love for the region and its history, which comes through clearly in Albion.